Sizing between the Dolores dresses in our collection may differ in material and sizing. Please consult above sizing table to determine your size of this dress. The Bust measurement is the most important of the 3. 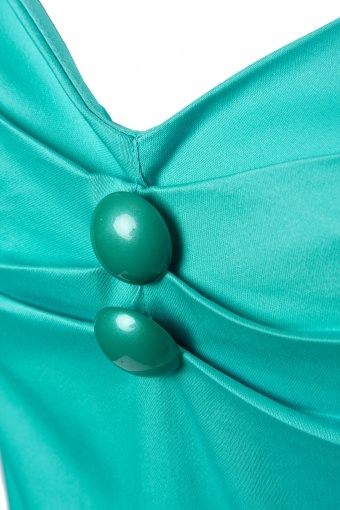 Make sure you are ordering where your bust measurement falls. New collection! 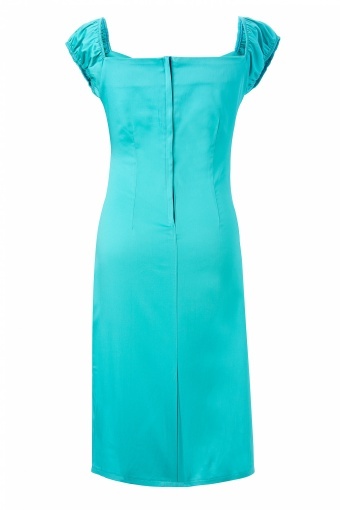 The 50s Dolores dress in Ocean Blue from Collectif. 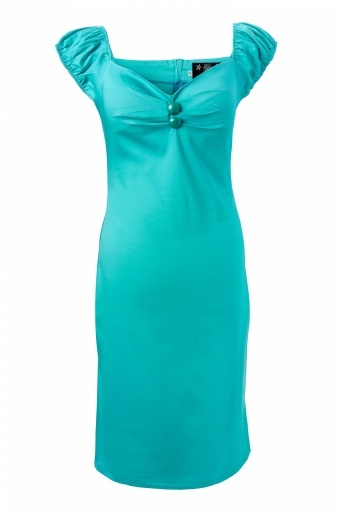 This is a fun cap sleeve stretch cotton black wiggle dress in a beautiful turquoise blue colour (as shown on the product pics). 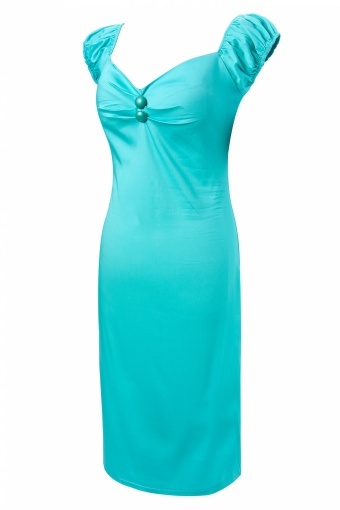 This dress hugs all your curves and is super cute and sassy with a small pucker in the bust and a back zipper. Back slit creates ease of movement. Available in several colours & prints!